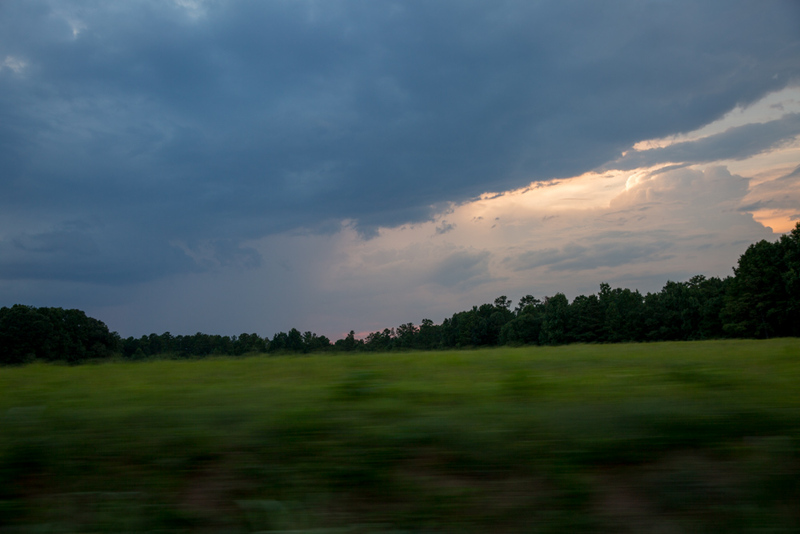 Driving my favorite part of Ga. Highway 83, it’s easy to lose track of time. 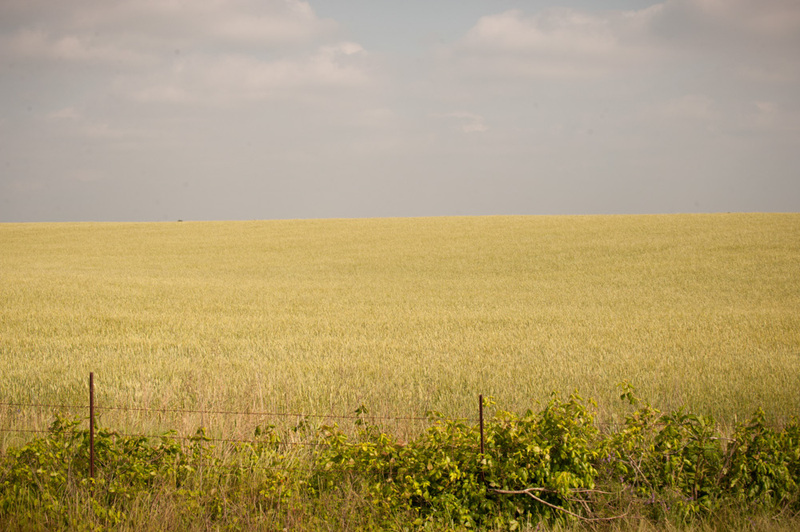 With only an occasional house or rusted fence to break up the miles of pine trees, irrigated cornfields and rolling pastures dotted with anthills, driving easily takes a back seat to my thoughts. 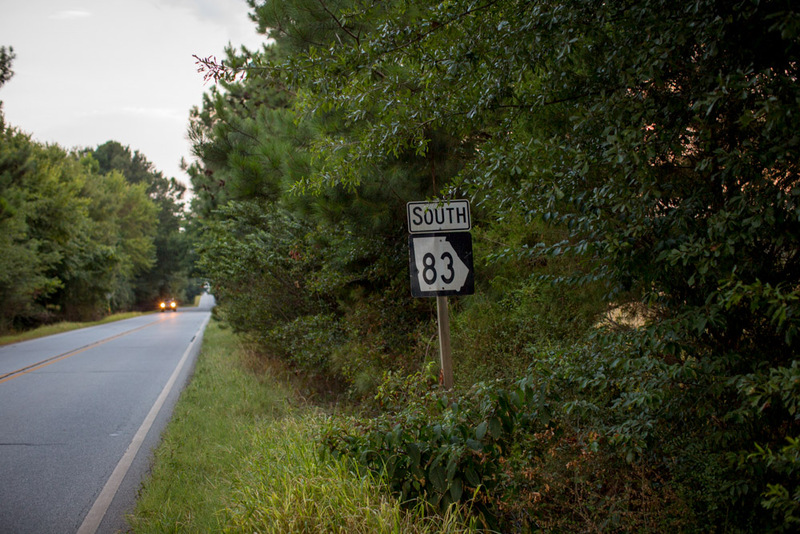 Deemed a Scenic Byway by the state, Ga. 83 is an 86.5-mile two-lane road that traverses from Monroe south to Juliette, passing through the Piedmont National Wildlife Refuge and crossing the Ocmulgee River along the way. Its shoulders are so narrow at times, road signs fight for real estate among the milk weed and oak saplings. I haven’t driven Ga. 83 from beginning to end, but the 35-mile stretch from Bostwick to Monticello has been a part of my life since I was 12. It connects the hamlet of Bostwick, where I grew up, to Madison, where I went to school, and to a handful of other towns I’ve lived in my 36 years. 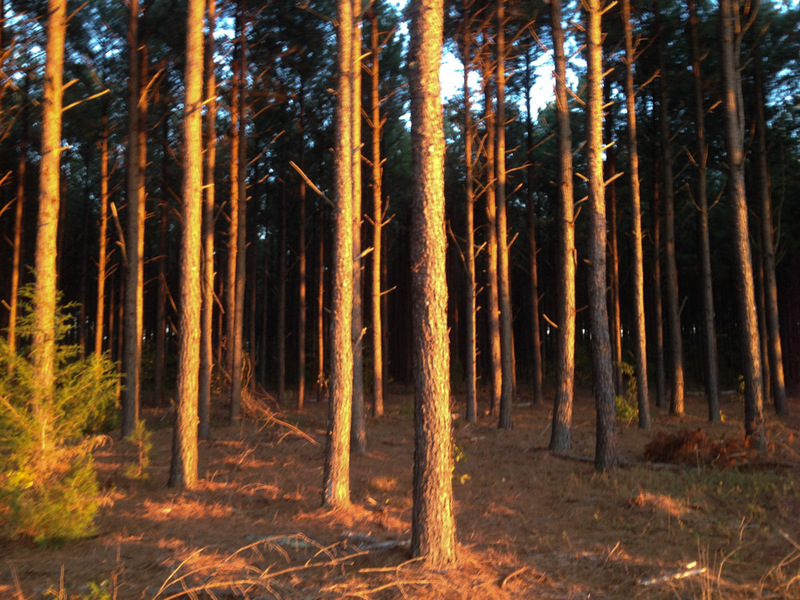 As a kid riding the school bus, I can remember staring through the scratched windows at the rows and rows of young loblolly pines near the highway’s intersection with Nolan Store Road and wondering if the deer liked the neat arrangement, or if they preferred the natural disorder of the forest, like God made it. 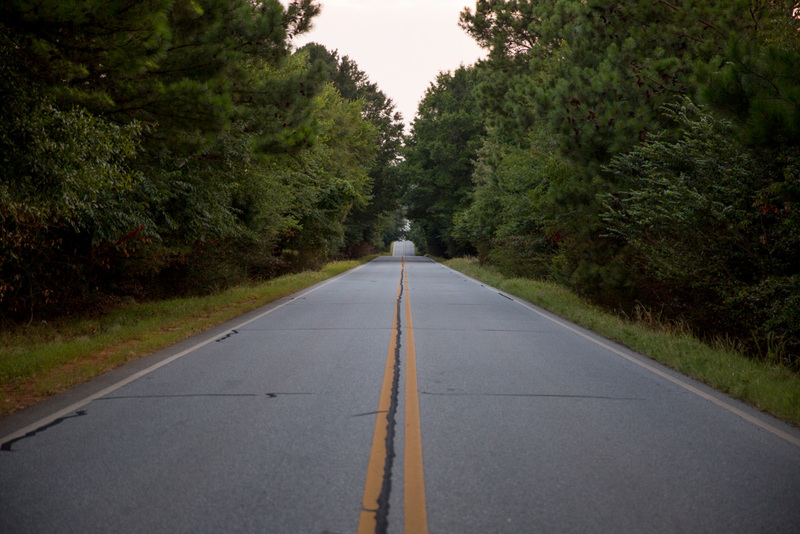 When the state repaved Ga. 83 in the early 1990s, I remember following behind the road crew on my bicycle, weaving through the freshly painted dashes and stripes on that hot summer asphalt, coating my tires with yellow reflective paint. My first job was at the Bostwick cotton gin. 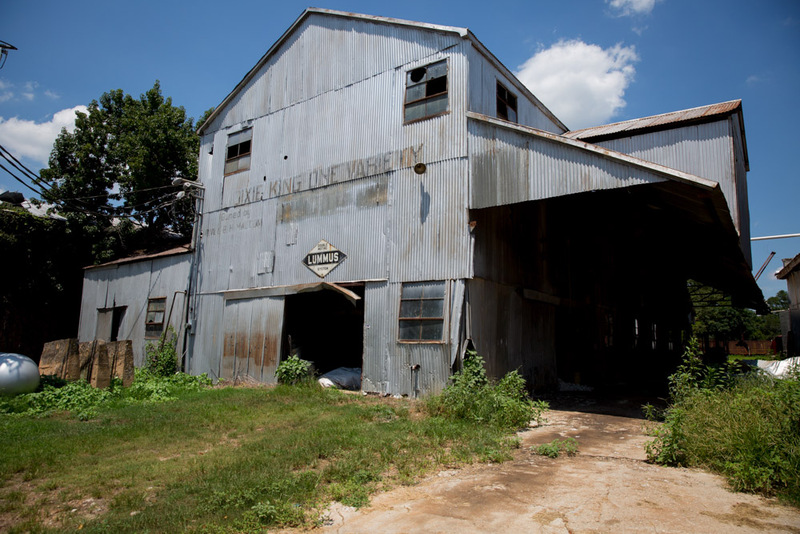 I was 15 and would park my faded yellow dirt bike on the shoulder of Ga. 83, just outside the gin’s sliding tin door. I wanted everyone to know I was big enough to work. Back then Ga. 83 didn’t mean much to me. It was just a road, like any other, that got me from point A to point B. But it took on greater meaning when I moved to Barnesville to attend Gordon College. Like many folks, my late teenage years weren’t the easiest; rebellion and scrapes with the law didn’t mix too well with the deeply conservative, traditional home and community I grew up in. Ga. 83 represented freedom to me — freedom from the small town judgments and ways I had grown weary of. Even when I wasn’t excited about returning home, I always looked forward to the drive. I can remember the first smells of spring rushing through the cab of my truck and how alive everything felt. From Barnesville, I would pick up Ga. 83 in Monticello and follow it up through the one-stop town of Shady Dale, past the decades-old café and abandoned snow cone stand, to Madison where I would turn left at Ye Old Colonial Restaurant and end my journey in Bostwick. Over the next several years, I lived below the Fall Line, attending Valdosta State and working as a reporter for the Moultrie Observer. I landed in Griffin the summer of 2004, starting a job as a photojournalist for the Griffin Daily News. I would spend the better part of the next 10 years in that city. All that time, Ga. 83 was still the way back home. Charlie’s last ride up 93. Whenever possible, I would time my trips back home in the warmer months so I could glide through at dusk, when the light turned blue and the crickets started their song. 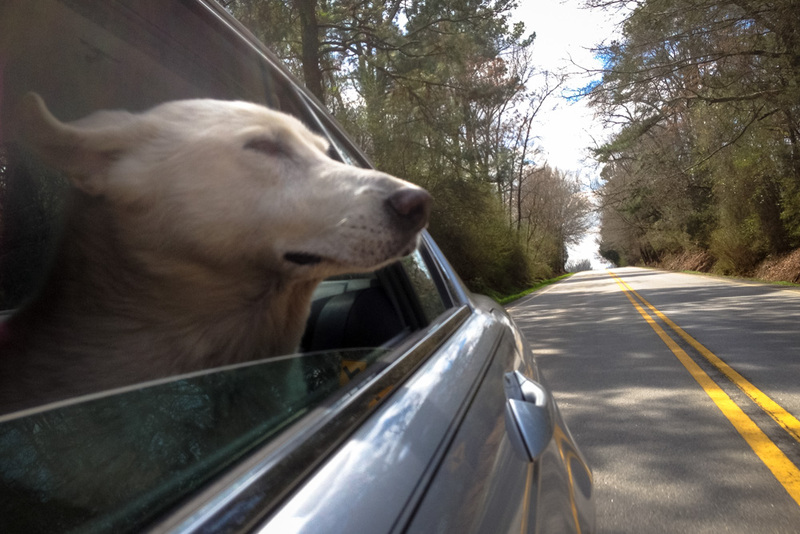 With all four windows down and the thick Georgia humidity swirling around me, it was like a baptism in a South Georgia black water river. I felt cleansed. 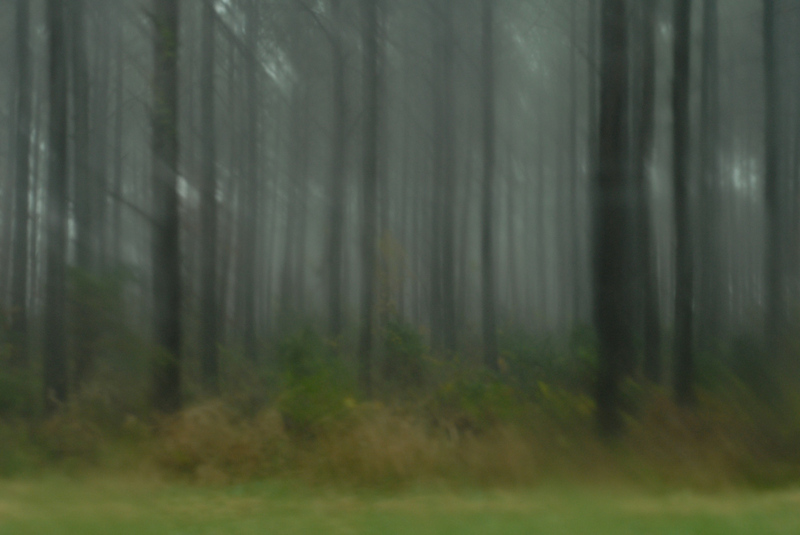 At some point, I began to take photographs on my drive. Of the hundreds of thousands of photographs I have taken in my lifetime, I have more of this road than any other. Last February I moved to Atlanta. Now my drive home is an 80-mph ride out the colorless I-20. It’s a lot faster, but it’s hard to reflect on anything, the interstate’s whine competing with my thoughts. The whole thing has the monotony of a plane ride — you get on and you get off. Nothing revelatory happens on interstates — there’s nothing new to see, nothing to carry you away. 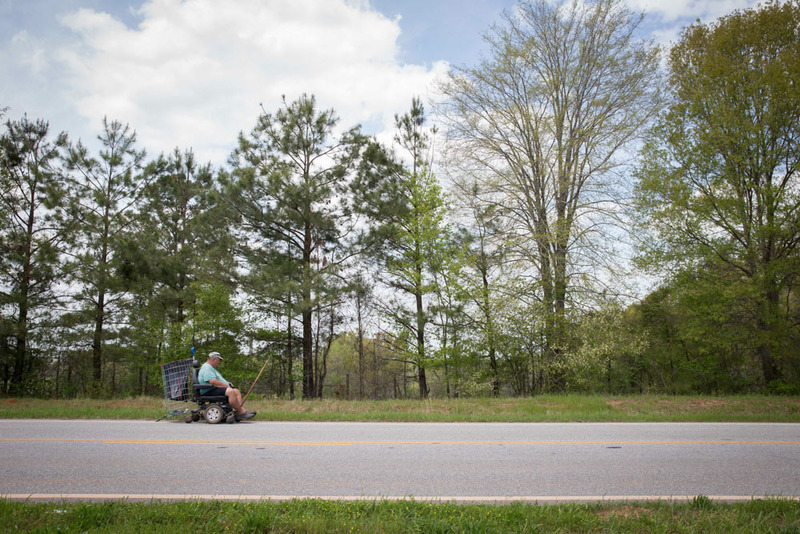 Like the time I came upon a man driving an electric wheelchair along Ga. 83’s steep hills just north of Monticello. His name was Ron Beekman, and he was just out for a drive. “How far is Monticello?” he asked me when I stopped to talk. I told him it was about three or four miles. He nodded and assured me that he had more than enough battery to get there. Though Ga. 83 isn’t my route back to Bostwick anymore, I still take it when I can. Like when a song changes meaning through the years, Ga. 83 continually reveals new things to me — things that help me get lost in my thoughts and gain a better perspective. It’s a song I don’t think I’ll ever tire of hearing. It was an honor to have this essay and many of these photos ran in the Sunday, Aug 2, 2015 edition as part of their “Personal Journeys” series. 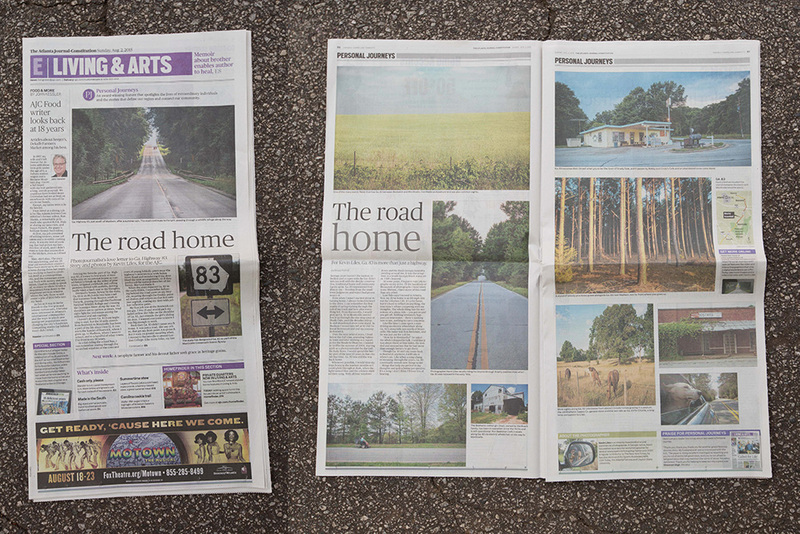 The layout was absolutely beautiful … Thank you to everyone at the AJC I worked with on this project. Great article Kevin!! So proud of all of your accomplishments!!!!!!!!! Thank you guys … It was so good running into Jimmy while working on this story. See y’all soon. Loved reading about your journey down hwy 83. I feel so honored that you even included our restaurant in Shady Dale. Thank you for including us! No problem! I’ll stop in next time I travel down 83. You cease to amaze me, wonderful piece Kevin. Thanks Bob T … Miss you guys. This brings back so many memories. I grew up on 83 between Madison and Bostwick until I moved away in 1981. My parents still live there and when I visit I get that feel when I make that same left turn in Madison that I am home. Love the article. Thank you! This wonderful story carries so many memories for me. I grew up in Shady Dale and Hwy 83 was the bloodline to Monticello (7 miles away) or Madison (13 miles away). Have lived all over the U.S., back in Monticello and still getting nostalgic when I travel on 83. Great Story , Kevin! I too have traveled hwy. 83 many times. I have also traveled hwy 16 from Monticello to Newnan, my home town, many times. Now that I am retired, I feel no joy in driving the Interstate Hwy. system at 70+ mph worrying about impatient, rude and road rage anxious drivers who care nothing about enjoying a scenic drive on roads like Hwy. 16 or Hwy. 83. Keep up the good stories and beautiful photography Kevin! Thanks Lanier! Good to hear from you … Please tell everybody I said hello. Thank you, T. Yes, it definitely a blessing. Hahaha, you’re funny Bill. Thanks for the kind words. Tell everybody in Bostwick I said hello for me. Thanks for keeping Bostwick on the map!!! Highway 83 has always been special! Your article and pictures are splendid! I am so proud of you and your many accomplishments. May our awesome God continue to bless you as you serve and honor Him. I need a copy of the paper. Thank you very much, Mrs. Wynelle. I will try to get you a copy of the paper. Thank you Aunt Sarah! Love you guys! I am so proud of you!!! The article and pictures were GREAT!!!! I felt like I was there with you !!! Been traveling hwy 83 for years . I grew up in Good Hope . Lived on Jacks Creek rd for 40 years . I still travel 83 to Good Hope, Bostick, and Madison just to look at the beautiful country . Sometimes , just to stop and take pictures. It’s so peaceful . A nice place to just get out and enjoy the country . Just like you have done so many times . Everytime I go it never gets old. My grandparents, my mom and siblings grew up in Good Hope . It was just dirt roads back when . A lot of changes since . Still , it’s a great little drive . Glad you gave such sweet memories of Hwy 83! I Have traveled that highway many times and have always thought it to be a relaxing drive. Hello Juanita .. Yes, 83 is place I go to often in my mind. Thanks for the comment. Enjoyed your story of the travels across Hwy. 83. As a child in the 50’s, my Daddy would load us up either on Saturday or Sunday, and we would take a ride down to Shady Dale, Ga. and Monticello, Ga. I have some great memories of that. Now I live in Shady Dale, Ga. and have for quite some time. Love it here, wouldn’t want to live anywhere else. It’s a close knit town, If you don’t know what you are doing, Everybody, else in town knows what you are doing. That’s what makes us unique, we all have hearts of gold, and will help any one out that needs a helping hand. Come spend a day with us, have lunch at Robby and Cindy’s, you will not find a better hamburger any where else. The place is friendly, the food is delicious. Thank you Alice! I will do my best to stop by Robby & Cindy’s next time I pass through. Love this article! I am a lifetime resident of Good Hope, GA. GA83 runs right thru the middle of town & if you blink you will miss it! I operate a little business on GA83 in Good Hope called Good Hope Outdoor Products. GA83 has also always been my way home! Thank you Holly! I know all about Good Hope, that place is beautiful too. Really nice story and photos! 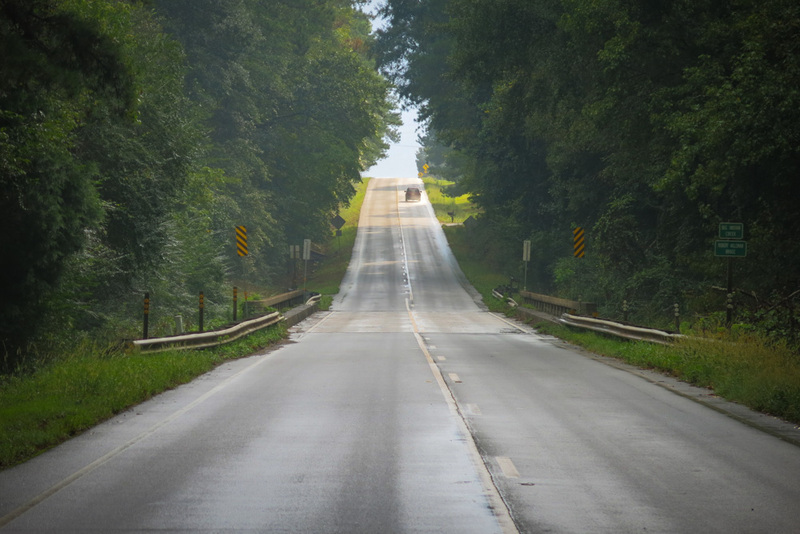 I always enjoy riding down the road in my old stomping grounds of Laurens County! I drive Hwy 83 from Monroe to Madison and back many times each week. Many mornings I am blessed to see the beautiful sunrise. When my 6 year old granddaughter comes to visit from the city she loves to ride through the country (Hwy 83) and misses nothing. We have amazing conversations about all she sees along the way. Hello Sandy … Yes, sunset or sunrise are my favorite times to drive 83. The article was great . I grew up in Jasper County on the other end of Hwy 83 near Gladesville community off Clay Road . . Brings back lots of memories . I live on Lake Sinclair in Milledgeville and I still go through Shady Dale on My way to I-20 . Love to ride the back roads . I reside on 83 S 5 minutes outside of Monticello city limits. This just made my heart melt. My favorite part is the beginning of piedmont wildlife refuge on down to the Monroe County railroad tracks. In springtime is the prettiest and in fall the leaves are absolutely breath taking. Although you and I are taking about the opposite directions I appreciate the live that you gave for home. Thank you so much for this article. We too have traveled Hwy 83 many times over the years. Just going from our hometown of Madison to a High School Rodeo and traveling 83 getting to I-75 and on to Perry or some other southern town. 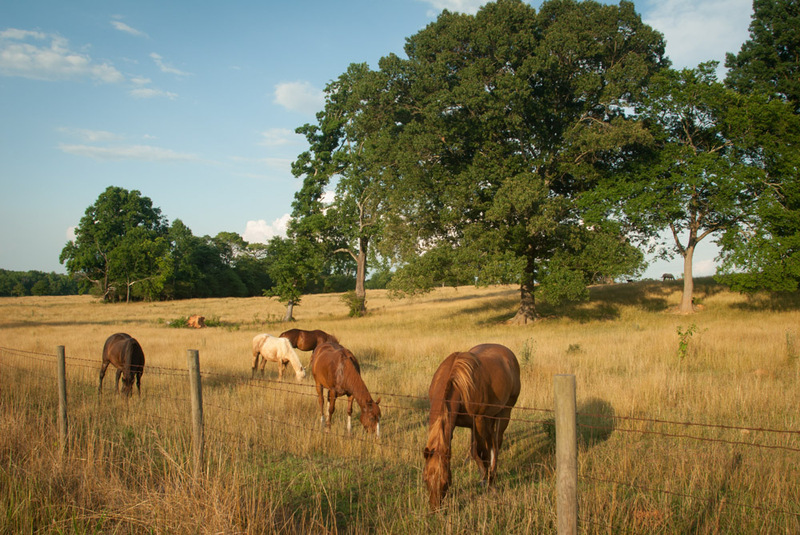 Even now we still travel it quite often with our horses to ride the trails of the Ocmulgee park and camp for a weekend. Thank you and I really enjoyed your article. We live between Madison and Bostwick in the Fairplay area. Thank you Angela. I have some good friends who live in Fairplay, I love that area. Love this!I Geew up in Bostwick and rode the bus to Madison everyday to school. 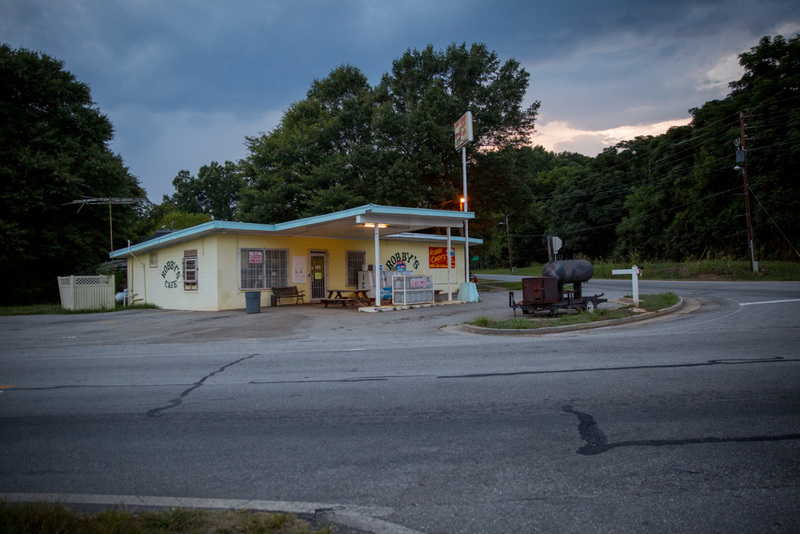 I live on the cornor of Hwy 83 and High Shoals Rd for 18 years and I used to love to ride my bike to town and go into the Bostwick Supply Store to get candy. When one of my security questions on my computer ask what street did u grow up on, my answer is always HWY 83. 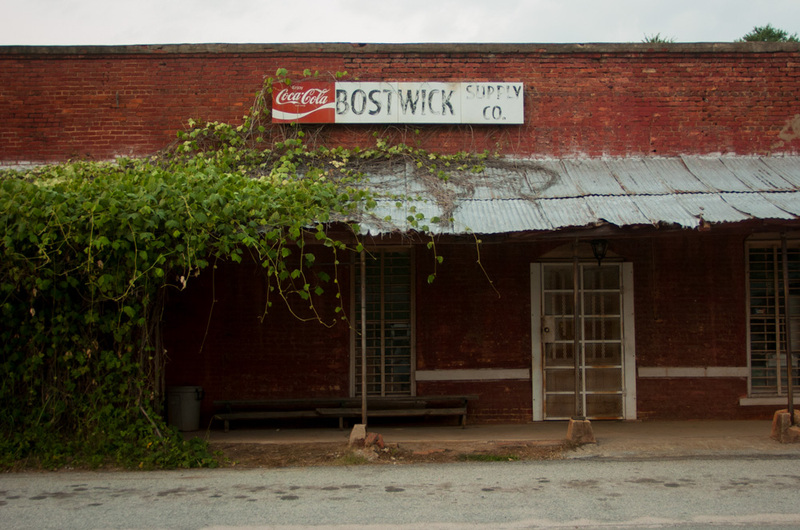 We moved here when I was five from Tennessee, but I will always consider Bostwick GA my home town. I wished my kids could have been able to grow up in my time and my hometown. Thank you for sharing. Thank you for the kind words, Kathie. Thank you all for the kind words, they mean so much to me. I had no idea that this story would resonate so deeply with so many people, and that I would get such an overwhelming response. Highway 83 truly is one of the simple treasures this state has to offer, and I am thankful that I could share my experience. Absolutely beautiful. I too enjoy cruising the roads through and around your little piece of heaven. Thank you for sharing. Thank you so much, Denise! I need to make another drive down 83 … been too long already.